We recently announced our CAD collaboration initiative – Glovius Cloud. Now, with the latest product update to Glovius desktop app, you can add and view comments directly in the app. This enables a true multi platform CAD collaboration solution for Glovius users. During the design cycle various teams are involved in bringing the design from concept to life. This involves collaboration between different teams – Designers, Manufacturing Engineers, QC Engineers, Program Managers, Cost Estimators, Should Costing Teams and many more. Usually, the collaboration across these teams happens with a wide and variety of tools and disparate systems – drawings, image snapshots, derivative reports or sometimes even by email. This leads to severe lack of trace-ability, loss of information and repetition. 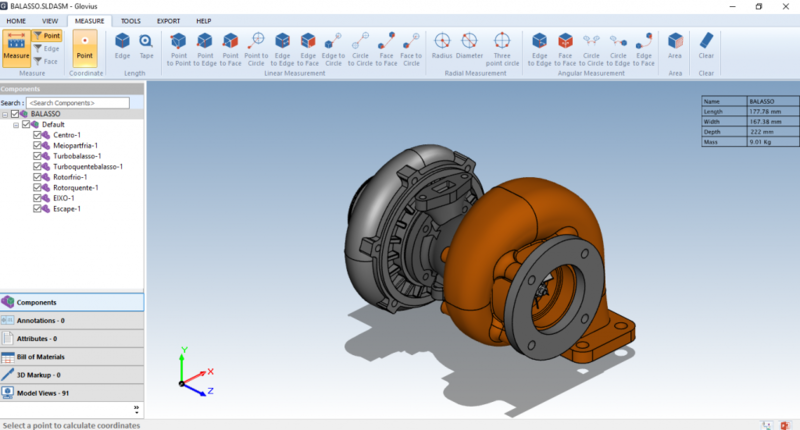 Glovius CAD collaboration is designed to be a multi platform tool that serves as the basis for all discussions on 3D parts and assemblies. Glovius Cloud is a web based tool built on multiple platforms for contextual collaboration. Use the Glovius desktop, Mobile apps or the Web app to View and add comments. Converse with your designers, engineers and everyone else with the 3D design file as the source of truth. This ensure you spend less time on email and more time designing and manufacturing great products. You can extend this collaboration tool to your suppliers and manufacturers. As the conversations are file based, you can share a specific file in the project to such external stakeholders with a single click. 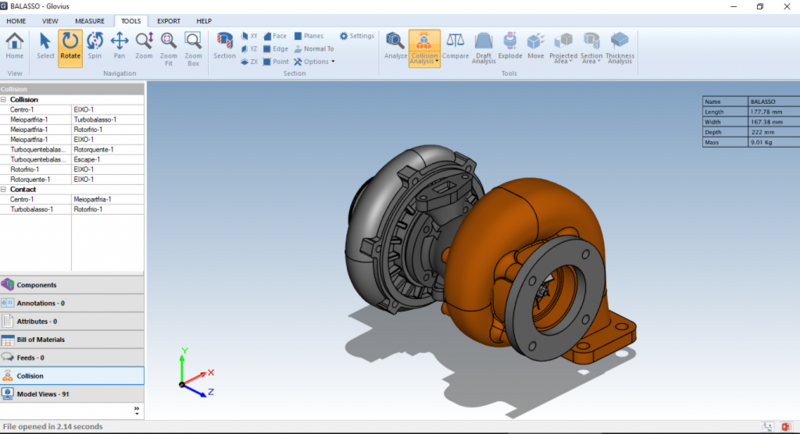 Finally using our web and mobile apps, the entire team will always have access to the 3D part and assemblies. You can take simple measurements, take sections and download reports. Download and Register on Glovius Cloud today – try the inbuilt collaboration tools ! “What can’t be measured, can’t be improved” goes the old management adage. However, this adage can be adapted to engineering as well. Designers and Engineers measure their designs for knowing the intent, check/plan manufacturing steps, check for ease of assembly and a variety of other use cases. Measuring the radius of a hole, the length of an edge, the dimensions of a slot,the area of a face or the angle of axis are all essential tools to understand and analyze designs. For most of our Glovius users, the Measure tool is the most prominent and critical function used for their workflow. We listened to our users on ways to improve and make Measurement more effective for them. With this in mind, we have revamped the Measure tool in the latest release . You will notice that now all the Measure tool options are cleanly laid out in a dedicated tab. The layout has been designed based on all the options that you would need to measure. 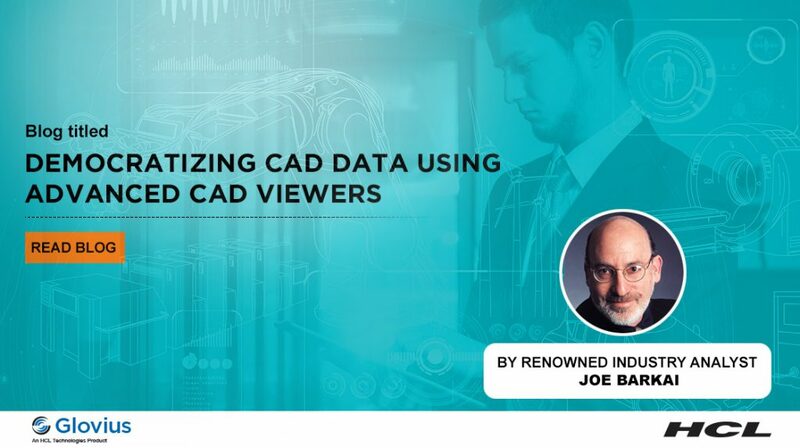 You not only have highlighted the standard measurement tools like the distance or the angle between edges, but also tools to measure specific entities like the angle between two hole axes or the radius of a circle passing through three points. The new tools compliment our existing feature set in Measure. Download Glovius and give it a try. And for all of us in the business of manufacturing and making things, here’s the take – “What can’t be measured, can’t be engineered”.